Now, this is brilliant. 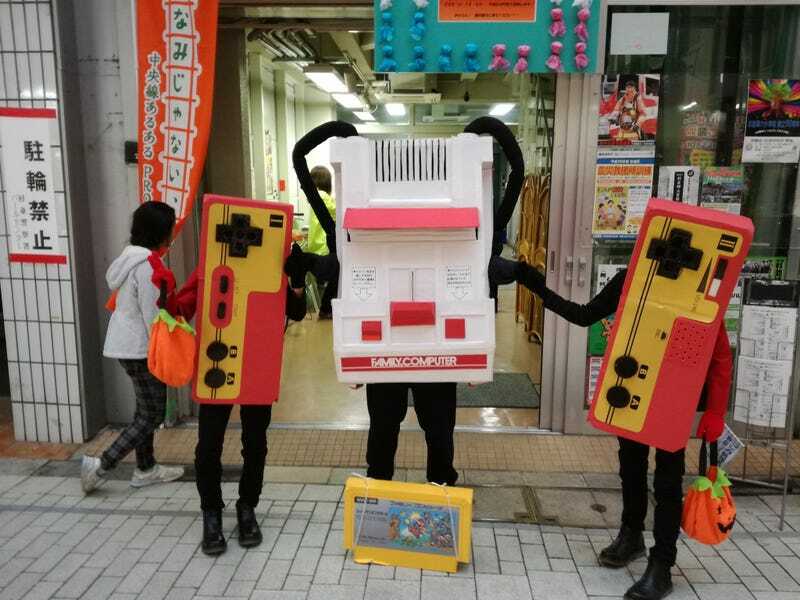 The dad from YouTube channel RuiRei Channel created a Famicom console costume to wear with his twin sons. Famicom, Family Computer, family costumes, geddit? Told you it was clever!